These were successful campaigns because they catered to actual market events happening at the same time. Marketing is a craft that, when done in a timely manner and with a bit of creativity, has the potential to yield some serious results. Over the past week, we got to see another timely campaign that performed in a similar way. 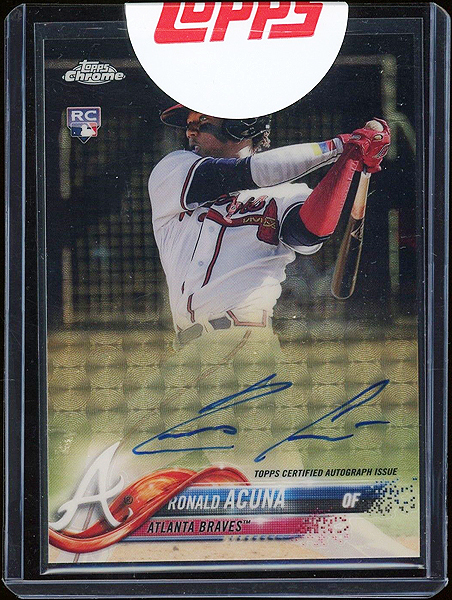 While it's not confirmed if this was intentional, this notable Ronald Acuna 2018 Topps Chrome Rookie Autographs Superfractor was listed at the perfect time - literally days before the 2018 ROY Awards were announced with Acuna being a solid runner up. Thursday, 11/7: Superfractor is listed on eBay. Thursday, 11/14: Superfractor listing ends. With the key actual market event (2018 ROY Awards) happening during the auction runtime, the seller couldn't have timed this more perfectly.